Some anxiety is a good thing. A little anxiety some of the time may be helpful. It is only when the volume on your anxiety control gets turned up too loud that it becomes a problem. 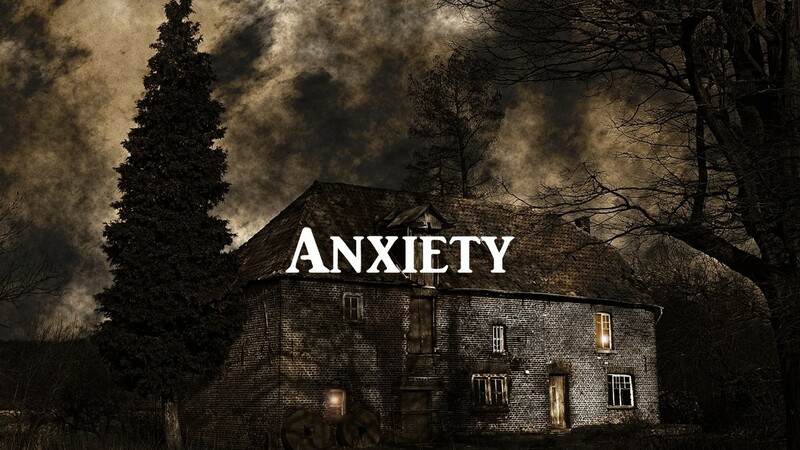 Dictionary definitions of anxiety include such things as nervousness about something that is going to happen and something that causes you to worry. In these troubled economic times, worry about your job and job security makes sense, especially if you work in an industry or company that has been having economic difficulties. Even those government jobs that used to be the height of security don’t seem immune from danger these days. But if you spend needless hours in worry that you might get laid off or fired when there is no basis in fact for that worry, then your anxiety control might have its volume turned up too high. Some anxiety is actually protective – if and only if, you are in a dangerous situation that warrants that anxiety. This is another case of a little is good and too much is harmful. The challenge is in knowing which is which. If you see someone with a gun shooting, it is wise to be nervous, even scared and to duck behind something for cover. Anxiety can help you avoid risks and in certain situations, like when someone is shooting at you, that anxiety might save your life. Anxiety can take control of you. If when sitting at home on your couch you hear the noise from a car door slamming a block away and you jump behind the couch to take cover, this level of anxiety is a problem. People become anxious in dangerous situations for a reason. If the stress they are under triggers an excessive response that may be an “Acute Stress Disorder” but if those over-reactions to past stress continue long enough, they can morph into something more serious. Post-Traumatic Stress Disorder is just such a problem. This was first recognized in servicemen returning from the war and the hallmarks are intrusive thoughts of what happened in the past that are still interfering with your life today and recurrent nightmares that involve memories of things that happened to you in the past or efforts for you to avoid those situations. We now realize that these problems also are prevalent in children and adults who have been abused or molested. Disrupted sleep from nightmares about past anxiety-producing situations predicts that you will have mental health symptoms in the future. IRT can help reduce nightmares. Treating PTSD is a complex subject. There are many theories but the research is less than convincing. What I feel fairly sure about is that taking sleeping pills or drinking alcohol are not a good solution. If you have intrusive thoughts or nightmares you need some counseling to get this under control. Running and hiding from our fears gives them extra chances to grow. But what if you do not have a case of PTSD but your anxiety is off the hook? Do your friends tell you that you are an overly anxious person? Do you sometimes think that you are just too scared and worried? If your anxiety volume control is just turned up too high, if the affairs of everyday living are making you want to crawl out of your skin, then you need treatment. What kind of treatment? Well, there are several, but one, systematic desensitization is especially helpful if you have fears that do not make sense to others but you find are interfering with your life. Too much anxiety? Try some systematic desensitization (done with a therapist or counselor) and see if you can’t get that anxiety volume turned back down. In tomorrow’s post, we will talk about systematic desensitization. This entry was posted in Anxiety, PTSD & Stress and tagged Anxiety, Counseling, David Joel Miller, Depression, emotions feelings, Mental Health, Posttraumatic Stress Disorder, Systematic desensitization, Therapy by David Joel Miller. Bookmark the permalink.